What secrets lie in store for us at Untold Casino? The mysteries are all revealed in our casino review so read on to find out about this exciting new casino brand! 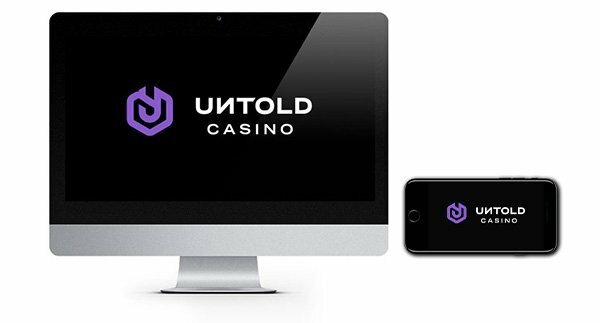 Untold Casino is a new brand who have taken things to the next level. Not only can you enjoy over 1800 slots and 100 live casino games, but you will also become part of a personalised casino journey headed up by Lord Untold himself who may throw the occasional golden token your way! More on their unique loyalty scheme further in our review. The Malta and Curacao licensed casino was launched recently in 2018. It has a polished looking design that lets you know this is no fly by night casino brand looking to land the quick wins. The aim of this casino is to win over players and keep them entertained and rewarded for years to come. No easy feat when there is so much competition out there. 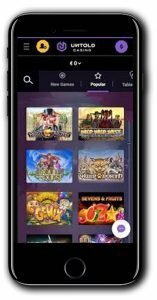 Untold Casino is available on all devices too! Untold Casino has created their own treasure hunt style adventure with various rewards and prizes that can be unlocked by you as you play. Watch out for emails from Lord Untold as from time to time they contain a golden token which when claimed may mean you get spins, bonuses or even cash prizes. You can deposit using several options, most of which are free from any fees with the exception of Paysafe Card (Untold Casino charges a (9% fee for deposits made using this method). Deposits can be made from $20 using the following options: Visa, MasterCard, Skrill, Neteller, EcoPayz, Paysafe Card, iDEAL, EPS, SafetyPay, Trustly and MuchBetter. Withdrawals can be made from $20 and will be processed the same day. Live chat support is available daily between 9 am and 11 pm, although that’s GMT so you may need to send them a message outside of those hours. 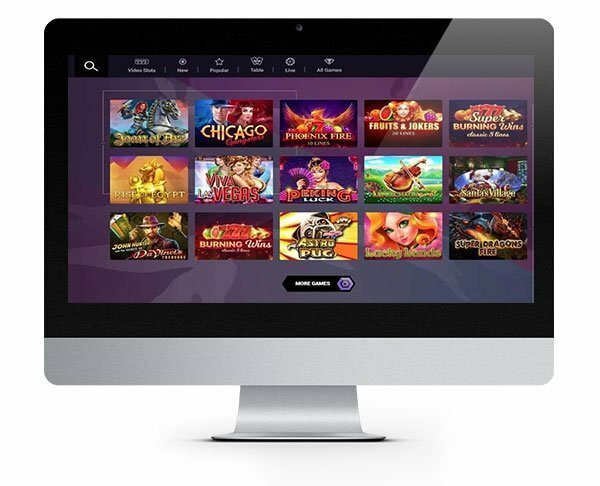 Within the instant play casino lobby, you are met with a host of games. Their collection has left nothing out with over 2000 titles including slots, video poker, table games, live games and instant win games. A quick glance through revealed titles from NetEnt, Microgaming, Habanero, GameArt, Play ‘N Go, Playson, Betsoft, Yggdrasil, Endorphina and many more! They have created several categories so you can use these to filter the games by type. It would be handy to have a few more options to narrow down the list of games a bit as there are so many titles to scroll through and it’s a bit of a faff having to hit the ‘More Games’ button every time! Here are just a few of their slots titles we pulled out to get you started: Vikings, Berry Burst, Steam Tower, Riches of Ra and Coins of Egypt. Don’t forget to check out their live games too, they have over 100 rooms with blackjack roulette and poker available 24 hours a day. 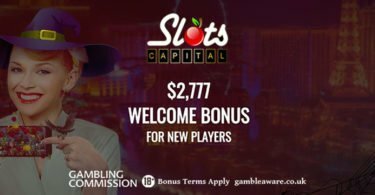 New Player Bonus – 7 No Deposit Spins + $777 Bonus! Lord Untold is handing out 7 NO DEPOSIT SPINS to new customers! 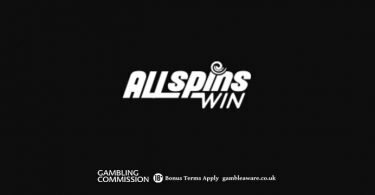 Simply sign up using our link below to claim your spins! Free Spins for use on the following games: Berryburst, Fairytale Legends: Mirror Mirror, Jumanji, Warlords: Crystals of Power and Starburst. Plus with a three-part welcome bonus worth up to $777, the bonus cash keeps on coming! IMPORTANT NOTICE – Make sure you are aware of gambling regulations in your country of residence before you register at Untold Casino. Untold Casino is a nice looking casino brand that just launched. Great for choice and an interesting loyalty scheme.